Place martini glasses in the freezer to chill. In a cocktail shaker, add about 4 ice cubes, then the vodka, lemon juice and sugar. 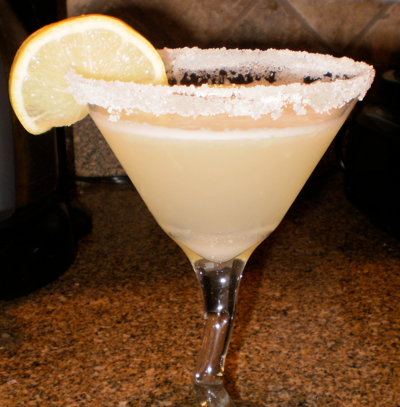 Remove glasses from freezer, and run a lemon wedge around the rim of the glass, then dip in the extra sugar. Strain martini and pour into prepared glasses. Garnish with a lemon slice.